Explore the spectacular Inside Passage to Knight Inlet and then board one our specially designed bear viewing boats to get the most amazing grizzly bear experience on the island. Amenities include pick up right off the dock at Hidden Cove Lodge, breakfast and lunch included, and all our Coast Guard safety-certified boats are Captained and crewed by professional naturalists who love sharing their years of knowledge and experience to help you appreciate these magnificent animals. ​Located in Telegraph Cove on the east coast of Vancouver Island, BC, NORTH ISLAND KAYAK has been providing our customers with the opportunity to go kayaking with killer whales and other wildlife in this spectacular, remote part of British Columbia since 1991. Our focus on providing spectacular sea kayaking tours has made us the largest sea kayaking tour provider permanently located on northern Vancouver Island, with literally thousands of delighted customers. 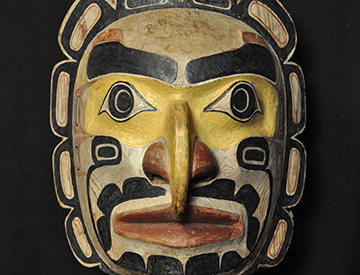 The Johnstone Strait and Broughton Archipelago region is the homeland of the Kwakwaka'wakw First Nation, which migrated here as early as 9,000 years ago. 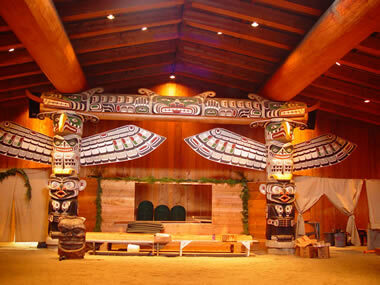 the U'mista Cultural Centre and Museum at Alert Bay ranks as one of the most important First Nations attractions in BC and in all of Canada. View the Potlatch Collection and the Namgis Burial Grounds. Visit The Big House which will introduce you to First Nations drumming and dancing and see the world's tallest Totem Pole at 53m/173ft. Sointula is an isolated village which is part of the historic and present territory of the ‘Namgis First Nation. Sointula means “place of harmony” in Finnish. This charming seaside town on sprawling Malcolm Island was established as a community in the late 19th century when a colony of Scandinavian settlers arrived with utopian dreams of building the perfect community. Small, compact and nestled between ocean and rainforest in the northern Vancouver Island wilderness, Telegraph Cove (population around 20) seems to have jumped through time. The boardwalk with its preserved historic buildings recalls a rustic past in which the cove harboured a lumber mill and salmon saltery. From 1911 when the first telegraph operator took up residence in Telegraph Cove this little cove has been a unique part of Northern Vancouver Island. Leisure Suit Charters offers fishing adventures based out of the coastal community of Port McNeill which is the gateway community to the Broughton Archipelago, a world-renowned marine and wilderness region. 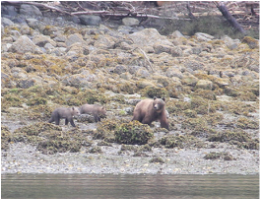 While fishing in the area you may have the opportunity to catch a glimpse of bears, whales, sea lions, eagles, and other wildlife in their natural habitat. 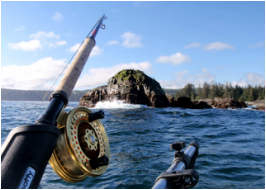 Our expert fishing guides take you to the best locations of the Pacific Ocean coastline for Salmon and Halibut Fishing in Port McNeill, British Columbia. North Island Daytrippers offers an opportunity to experience the solitude and the ruggedness of these remote areas that truly impress every one that steps foot on them. Our operator and guide Dave Trebett has been living on the North Island for 28 years and has been exploring this rugged terrain for just as long. Not only will he share with you the history and legends of the area, but he'll also show you amazing places off the beaten path. Internationally Renowned artist Gordon Henschel lives and works near the wilderness he needs for inspiration. On display in a 2000 sq ft. space in the wooded setting of the Nimpkish Heights area, Henschel's paintings are an investigation and interpretation of his natural world. His watercolours, oils and acrylics are impressionistic events that allow the viewers scope for their own imagination.